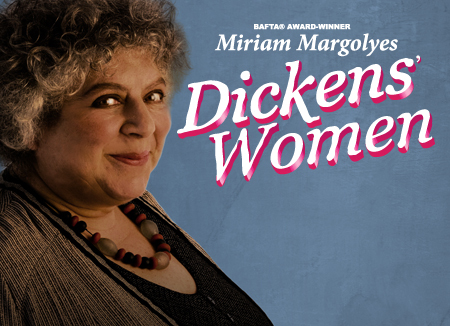 Having recently read Colonial Voices, I was very much aware of what an anachronistic performance Miriam Margolyes’ ‘Dickens’ Women’ is. Generations past may have been the audience for a series of readings and impersonations, but it seems a particularly quaint genre now: a “nice night’s entertainment” as Barry Humphries’ Sandy Stone might have said. But to describe this performance as merely “readings and impersonations” is to undersell it, because it is more like a theatrical essay, with a clear argument that is supported by the anecdotes and examples that she weaves into the work. She argues that Dickens wove his own biography into the female characters he created, colouring them with his own anger, sense of betrayal, and often misogyny. She moves back and forwards from argument and explication, to readings and then to performance of both male and female characters, sometimes in soliloquy, sometimes in dialogue. The performance opens with Sairey Gamp from Martin Chuzzlewit, and I must admit that it took me a couple of minutes to recognize and recollect her. Would I know who she was playing each time? I wondered, aware that even though I have read quite a few Dickens, I haven’t read them all and I often forget which character appeared where. But I need not have feared: she wove into the narrative a clear identification of who each character was, often with a bit of contextualizing information. It didn’t matter that I hadn’t read Dombey and Son, or The Uncommercial Traveller or The Old Curiosity Shop. Margolyes has been performing this show since 1989 and it is a very tight, confident performance. In creating her 23 characters, she uses everything – her body, her beautiful clear voice, timing, lighting, gesture and stance- and at times, she almost seemed to change physically before your eyes. I found myself scarcely daring to breathe watching her embody Miss Havisham, afraid that the spell would break. It didn’t. A very nice night’s entertainment indeed. Thank you, Anne Summers, for your article “The gender agenda: Gillard and the politics of sexism” in today’s Age. I have written, and then discarded several posts on this blog on this very topic, unsure whether I wanted to insert a current political event into what is, on reflection, a rather rag-tag blog. 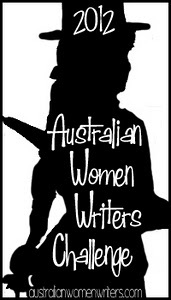 But Anne Summers, among other things, is a historian (author of Damned Whores and Gods Police) and her article encapsulated many of the things that I have sensed about the treatment of Julia Gillard. And, as I am working through in my own thesis about Judge Willis, “personality” is the most slippery and yet visceral factor in leadership, and when it lies at the heart of a dismissal, it is one of the hardest things to prove. It is nowhere and it is everywhere. I have not agreed with everything that Julia Gillard has done (her treatment of Wilkie is a case in point) but I am immensely proud of her as Australia’s first female Prime Minister. She is graceful under pressure, she has managed to negotiate with the cross-benchers, and as she has said over and over the last few days, she got things done. The carbon tax, the mining profits tax, the tapering off of subsidies to private health insurance- these are big policies, passed in the teeth of trenchant criticism by vested interests with very, very deep pockets. Kevin Rudd did not deliver these: she did. 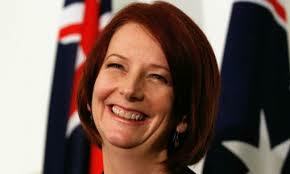 I was one of the ALP voters who started rolling her eyes and slumping once Rudd began to speak as Prime Minister. If you look back at my response to his speech at the Bushfire Memorial Service back in 1999 here and again here, I was troubled by his tin ear and nationalistic grandstanding even then. Everything was talked up, but nothing happened once the going got tough. I was delighted that my yet-t0-be-conceived granddaughters will know that a woman can be a Prime Minister. And yes, I even sent Ms Gillard a birthday card on her 50th birthday, telling her that. ‘Every time someone makes an attack on her authority to lead (as distinct from her policies), they are sending a subliminal message to every woman and girl that they are not welcome to sit at the table of real political power. As David Marr pointed out on Friday, this is the missing piece of the puzzle over the decision to oust Rudd from the leadership in 2010. It was part of the decency, yes decency, of his colleagues that they did not elaborate on the contribution of his personality to the whole situation then. I laughed at the irony this morning of Rudd praising “Albo’s” decision to plump for him, channelling every cricket and football captain you’ve ever seen interviewed after a match. But clearly Rudd is no team player, no matter how many “o”s he attaches to his colleagues’ names. We do not have a presidential system: we vote for a local member who is a party member, and it those party members who choose their leader. Rudd seems to have forgotten his constitutional history. I’m surprised and disappointed that John Faulkner seems to have done so as well. And as for Michelle Grattan in The Age? For the past few weeks, I’ve decided that she falls into the same category as Peter Costello or Chris Berg from the IPA. Her columns are no longer commentary, or analysis: you know what she’s going to write even before she types the first word. I did not contact my local member Jenny Macklin. Even if she were a Rudd supporter (which she is not), I would not do so. Our democracy does not work that way and I think that it is all the better that it does not. I shall exercise my constitution-given judgment at the ballot box. 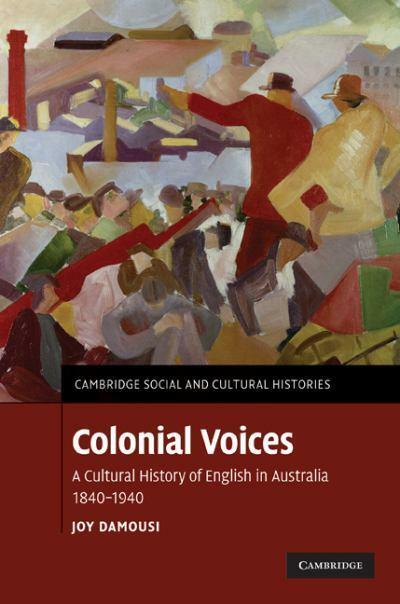 I admit it: I was attracted to this book by its cover ( a topic discussed in Sue’s Whispering Gums blog recently). I picked it up, noted that it was a collection of short stories written during WW2, and conscious that I should really be doing some ‘proper’ reading, put it back on the shelf. “Damn it! There’s plenty of time for the thesis!” I thought the next day and promptly borrowed it. There’s not really plenty of time, but I’m glad that I did borrow it after all. 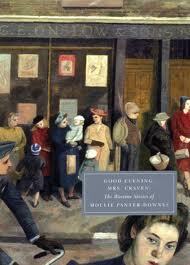 Mollie Panter-Downes was the London correspondent for the New Yorker. Between 1939 and 1945 she wrote a fortnightly “Letter from London” – 153 of them at 1500 words a week, as well as 18 long articles and twenty-one short stories. She also wrote five novels, all of which she disowned except her final novel One Fine Day, which was republished in 1985. This is a collection of the wartime short stories published in the New Yorker, and they reflect her journalistic bent: who, what, when and where; with an optional why and how. To meet the constraints of the magazine short-story, they are of a fairly uniform short length (about 9 or 10 pages), and I often found myself wishing that they were longer. Think O.Henry meets Midsomer Murders. Nearly all of these stories are set among the rural upper middle class, and mostly from womens’ perspectives. Her characters are not evacuees, but the rural host families whose houses and larders are stretched by slum families, stiffly uncomfortable in strange settings, or by fey elderly and wealthy spinsters, who drift from one distant relative to another. Many of the women are alone. Some are in adulterous relationships, where the pain of separation is just as acute but publicly unacknowledged. They are the women of the Ladies Sewing Circle; they are often hungry in a most lady-like fashion; some cling tightly to the past while others are liberated by the social changes that war has brought. And so we have one story about the painfully slow last days, hours, minutes counting down before deployment; or another story about a mistress distraught that her lover may be killed and that no-one would know about her in order to convey the news. They are slices of life, quickly and deftly sketched, sharp and affecting. In a word: I loved them. Because the milieu remained the same, it was easy to finish one story and turn to the next, and one or two characters appeared in more than one story. They are arranged chronologically, as the war moves through different phases, and the collection is bookended by her Letter from London that marked the beginning and the end of the war. Perhaps I’m turning into a short-story reader after all. I gobbled these up so avidly that I’ve borrowed a collection of her Letters from London as well. After all, there’s plenty of time for the thesis…isn’t there? Read because: there’s plenty of time for the thesis (not). Alain de Botton’s Atheism 2.0 and Unitarianism? I see that Alain de Botton is in Australia at the moment publicizing his new book (which I have on order at the library). Some people ask me why I am a Unitarian, and how and why you would want a “church without God”. For me, Unitarianism- and even more so the Unitarian Churches that I attended in Canada- meets many of the needs that Alain de Botton speaks about in this video. “What IS this book?” I wondered half-way through. Travelogue; a reflection on literature and historical methodology; a history of nations and a history of family; a reflection on the mother/daughter relationship- how would all that be summed up in the one-word descriptor that you often find on the back cover of a book? “Memoir” . It seems a little incongruous to me that anyone born in 1974 could write a memoir yet, but if a memoir is a literary construct through which the writer represents a lived experience, then yes, this is a memoir- but I’d qualify it by adding “and much more”. 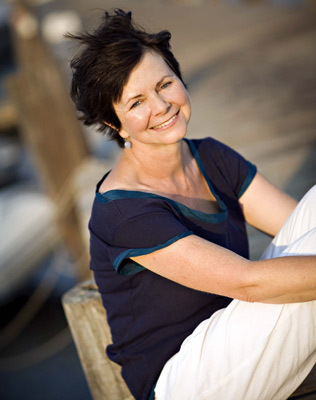 It is the journey that ties this memoir together, but it is a layered journey. 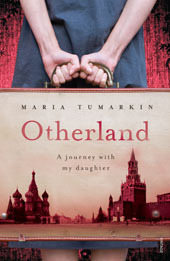 Mother and daughter are travelling, but Tumarkin is making her own journey back to the relationships that were ruptured when she and her family left so abruptly, and she is making a journey into her own parents’ and grandparents’ experiences as well. But it is not her story alone: she interweaves the journey with the stories and observations of writers, historians, poets and political dissidents. In this way, it is an intellectualized endeavour- indeed, I had not heard of many of the writers she cited- but it is also highly personalized. There are several mothers and daughters here. It is also a history of a Jewish family, who were part of a much bigger history, and here I found myself hampered by my lack of late twentieth-century history: who came first again? Gorbachev? Yeltsin? I craved a factual chronology, to juxtapose against this very personalized history. This is a very carefully constructed memoir. It opens with a cliff-hanger that is not resolved until after half-way through the book. The writing is reflective and scholarly in places, and confessional and all too human in other places. Like all journey narratives, it moves forward and there is a homecoming, in more than one sense. It is quite a journey.